Deal flow involving US midstream operators has picked up, notwithstanding the acrimonious failure of Energy Transfer Equity LP’s (NYSE: ETE) proposed acquisition of Williams Companies (NYSE: WMB). The midstream segment could yield additional takeovers, as master limited partnerships (MLP) grapple with slowing cash flow growth in an environment where oil prices remain lower for longer. Regulated utilities have also emerged as potential buyers, thanks to their strong balance sheets and desire to extend their exposure to growing demand for natural gas. This week brought a rush of third-quarter earnings and three acquisitions involving midstream MLPs. Here’s our take on this flurry of deal announcements. You can read about recent merger and acquisition trends in the energy sector and our top takeover plays in Let’s Make a Deal. Earlier this week, American Midstream Partners LP (NYSE: AMID) announced an agreement to acquire JP Energy Partners LP (NYSE: JPEP) in an all-stock deal worth $312 million—a roughly 10 percent premium to the target’s previous closing prices. The two MLPs share the same sponsor, ArcLight Capital Partners. Consolidating the two entities should shore up the combined entities’ distribution and eliminate questions about which of the two MLPs would receive specific assets held by the sponsor. Management also projects that the acquisition would enable the MLP to grow its distribution by 5 percent in 2017 and 2018. Despite management’s platitudes about how the tie-up will result in improved scale and integration, American Midstream Partners and JP Energy Partners’ hodgepodge of unrelated assets serves as a reminder that the sponsor’s primary aim was to monetize its MLP-qualifying energy investments. Management indicated that some asset sales could be in order—JP Energy Partners’ propane distribution business would be a likely candidate—hopefully to help the MLP refocus on its core opportunities in the Gulf of Mexico and the Permian Basin. Nevertheless, the MLP’s onshore portfolio is a mixed bag, with the partnership overpaying for Costar Midstream last year and lingering questions about the growth prospects for its systems in the Eagle Ford Shale. Even before the acquisition of JP Energy Partners, American Midstream Partners appeared to have done enough—with the help of its general partner—to stabilize the distribution. The big question remains whether management has an overarching plan to build an integrated system or if the MLP primarily serves as a sausage casing for its private-equity partner to stuff with unrelated assets. 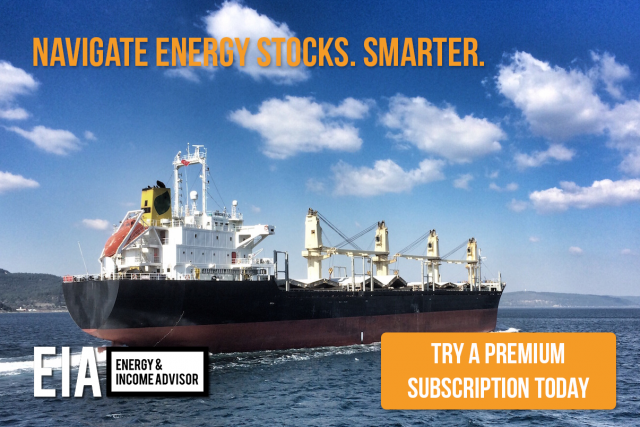 Subscribe to Energy & Income Advisor today for instant access to our most recent analysis of every midstream MLP and updated buy targets. Deal No. 2: A New Growth Platform? In Buckeye Partners LP’s (NYSE: BPL) recent earnings calls, management has emphasized that the MLP’s near-term growth prospects hinge primarily on hitting singles and doubles, instead of swinging for the fences with major projects. The proposed acquisition of a 50 percent equity interest in VTTI BV for $1.15 billion gives Buckeye Partners a foothold in the international terminal market and partners the MLP with a seasoned operator, commodity-trading and logistics powerhouse Vitol. Buckeye Partners expects to finance the deal with a combination of debt and equity and recently issued 8.625 million common units. Management expects the acquisition to close in early 2017. The TopCo historically has incubated projects, such as a marine terminal in Cape Town, South Africa, that’s expected to come onstream in 2017. VTTI BV also owns a 46 percent equity interest and incentive distribution rights in VTTI Energy Partners LP (NYSE: VTTI), an MLP created to monetize the sponsor’s mature terminal assets via the drop-down of incremental interests in the OpCo. After the most recent transaction, VTTI Energy Partners owns a 51 percent interest in this portfolio of six marine terminals. During Buckeye Partners’ third-quarter earnings call, management highlighted opportunities to consolidate a highly fragmented global terminals market and the more than $600 million in new projects that VTTI BV is evaluating at the TopCo level. Investors who have followed VTTI Energy Partners closely since its initial public offering in mid-2014 are probably familiar with these claims—and a discouraging lack of execution on this front. But maybe it is different this time. Up until November 2015, MISC Berhad (Kuala Lumpur: MISC) owned a 50 percent interest in VTTI BV, which the energy-shipping specialist sold to Vitol for $830 million. Given the challenges that MISC Berhad faces in the tanker and LNG (liquefied natural gas) shipping markets, the Malaysia-based company may not have been the best partner for Vitol’s marine-terminal business. By bringing in Buckeye Partners to VTTI BV, Vitol monetizes half of its interest at a sizable premium and brings in a partner that may be more motivated to pull its own weight to fund growth opportunities. Investors will watch closely to see if VTTI BV delivers on these long-standing promises. What does the deal mean for VTTI Energy Partners? Not much. The MLP’s growth story still hinges on the drop-down of incremental interests in the VTTI OpCo, which, in turn, depends on the partnership’s ability to fund these transactions by issuing debt and equity. One wonders if VTTI BV would consider taking VTTI Energy Partners private again if the MLP’s stock underperforms for a prolonged period, inhibiting future drop-down transactions. 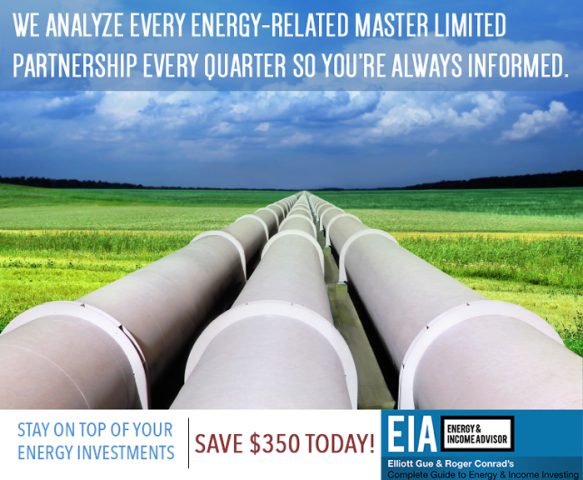 The third deal from this week added another partnership to Energy Transfer Partners LP’s (NYSE: ETP) already complicated family tree, with the MLP announcing the $640 million purchase of the general-partner interest and a 65 percent equity stake in PennTex Midstream Partners LP (NSDQ: PTXP)—a name that we highlighted as a potential takeover target in the most recent issue of Energy & Income Advisor. The sellers will receive $320 million in cash—funded by issuance from Energy Transfer Partners’ at-the-market program and borrowings on its revolving credit facility—and $320 million worth of the acquirer’s common stock. To facilitate the transaction, Energy Transfer Equity LP (NYSE: ETE) agreed to waive $33 million of Energy Transfer Partners’ incentive distribution rights in perpetuity. This transaction gives Energy Transfer Partners exposure to the Terryville, a natural-gas play in northern Louisiana championed by Memorial Resource Development Corp, which was taken over by Range Resources Corp (NYSE: RRC) earlier this year. Terryville’s proximity to the Henry Hub and the petrochemical complex on the Gulf Coast results in lower transportation costs relative to the Marcellus Shale. But adding pure-play exposure to the Terryville probably isn’t the sole reason for Energy Transfer Partners’ acquisition of the general-partner and a 65 percent equity interest PennTex Midstream Partners. Don’t be surprised if Energy Transfer Partners eventually kicks up the general-partner interest in PennTex Midstream Partners to Energy Transfer Equity in exchange for unit retirements. Such a deal would likely occur after PennTex Midstream Partners grows its cash flow to a certain level. Although Range Resources likely will accelerate drilling activity in the Terryville as the company hones its drilling and completion techniques, Energy Transfer Partners could accelerate the growth process—and raise much-needed capital—by dropping down some of its midstream gas infrastructure to PennTex Midstream Partners. Such a move would drive cash flow and distribution growth at PennTex Midstream Partners, at the expense of diluting its pure-play exposure to the Terryville play. Meanwhile, Energy Transfer Partners would raise capital to fund its growth projects and improve its balance sheet. As part of our ongoing effort to bring our subscribers the best analysis and intelligence, the Energy & Income Advisor team is attending the DUG Midcontinent conference to meet with key players in the region and learn about the risks and potential opportunities.